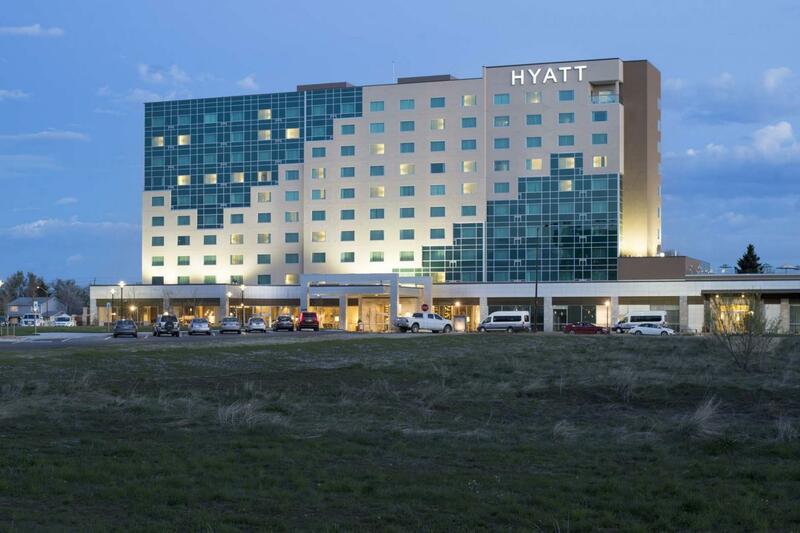 The Fitzsimons Hyatt was an 80-million-dollar project consisting of a hotel with 249 rooms and a 30,000-square foot conference center. In addition, the facility has a 500-space parking garage, a restaurant, and an indoor pool with a full-service workout center. The building has a total of 10 stories and is designed with a color scheme to match the surrounding landscape. The main level of the structure contains the hotel lobby, convention center and back of house spaces and is approximately 74,000 square feet measuring 370’ in the E-W direction and 205’ in the N-S direction. Level 2 consists of hotel rooms and a rooftop deck on the low roof. Levels 3 through 10 are hotel rooms only and are approximately 15,300 square feet per floor, measuring 245’ in the E-W direction and 64’ in the N-S direction. There is a stair core on the East and West end of the hotel tower and an elevator core at the approximate midpoint of the tower.